It's a Girls Day (Hina Doll Day) tomorrow! 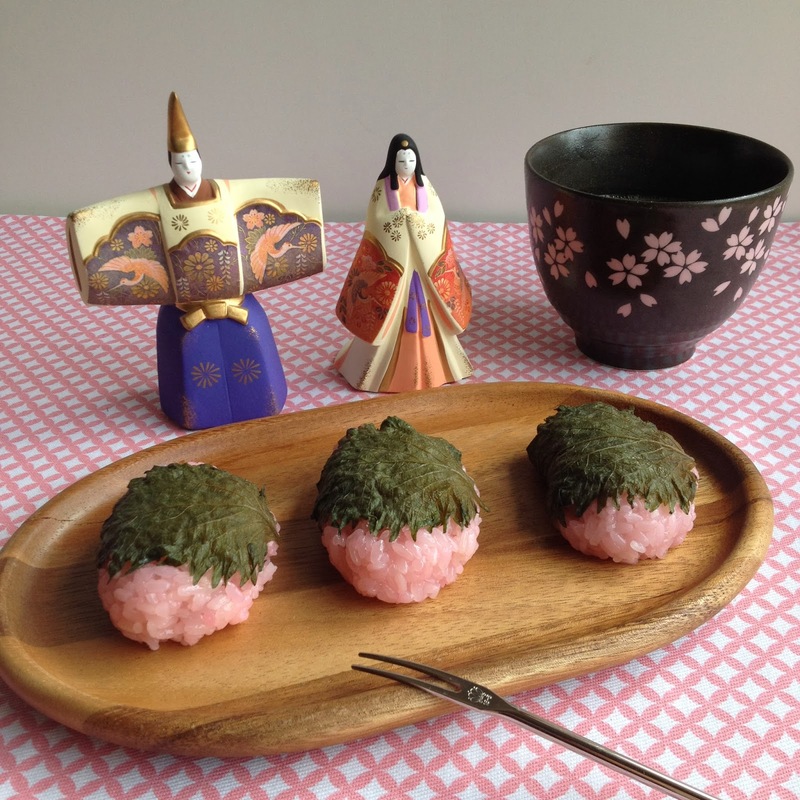 No Domyojiko (dried sweet rice flour), no cherry leaves, no daughters for this occasion. However, I've got a plenty of sugar craving, the spirit for celebrating Japanese tradition, and some substitutes for missing ingredients to make Sakura Mochi.